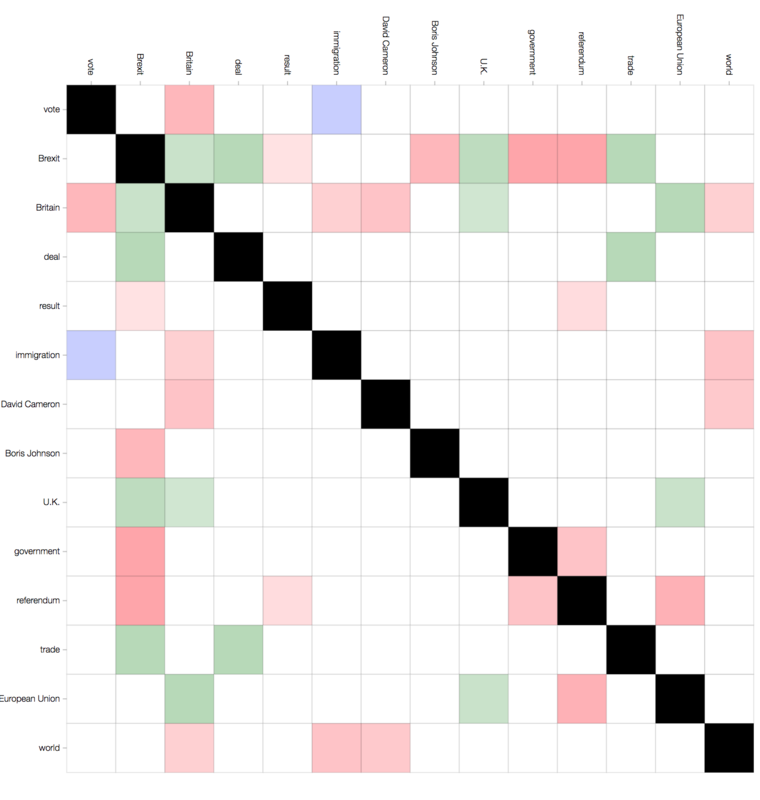 This matrix shows the topics which are driving emotional engagement, and the tone of the associations between them. RED indicates a negative association, GREEN a positive one. WHITE means a neutral connection, and BLUE, an association driven by anticipation and expectation. This matrix gives you an ‘at-a-glance’ view of the overall complexity, engagement, and tone of the narrative. It also makes clear any cross-cutting concerns which lie at the centre of the narrative.